Summary: Exchanging your dollars to foreign currency can end up costing you more than what you expected. Planning on taking a trip to another country? Well, one of the most important aspects of travelling is carrying enough money to get you through the entirety of your vacation. What this means is that you’ll have to succumb to the exchange rates at some shoddy establishment. But don’t lose all hope yet, there are ways that you can bypass the ridiculous fees that are associated with exchanging your hard earned money. When you think of currency exchange, the first place that you might consider heading to is your local bank. Don’t. On average, you’re losing roughly 8 percent when you exchange the dollar to euros. That’s a significant amount of money, especially when you’re trading thousands. Don’t even think about exchanging it at the airport either, you’ll lose double the amount. Rather, if you must change cash, find postal banks inside post offices, they’ll usually have the best rates. This is an important tip that you must apply. Most Americans will jump for joy to see that a local restaurant accepts dollars. Now, there isn’t a need to buy local currency right? Wrong. Without you knowing, the happy sales clerk won’t tell you that your purchase is costing you 20 to 30 percent more because of the restaurant’s horrible exchange rate. That’s one hefty tip that your parting with. When you get back home, the foreign currency becomes essentially worthless unless you want to exchange it back and lose another “X” amount due to fees. If you have excess cash at the end of your trip, change it into dollars at the airport or simply spend it before you fly home. 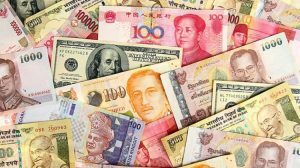 You might even get a few more dollars from your hometown back for that last bit of foreign currency, but it’s much cleaner and convenient to fly home with a wad full of dollars in your pocket. Bio: Omar Amanat, an entrepreneur and investor, has partaken in large-scaled investments including the acclaimed Twilight Saga.